All my life I’ve been a voracious reader and writers have been important to me. They’ve helped me to grow and mature. They’ve broadened my mind and my outlook. They’ve inspired me to keep going when things looked grim and to aim for ever loftier goals. Sometimes when I’ve been sick or in physical pain or grief-stricken, they have taken me out of my situation for a few hours and given me respite and relief. In so many ways, writers and the books they wrote have been important to me and my life. Still, I’ve noticed an odd thing—some writers, who may have been hugely successful and famous, disappear from view. 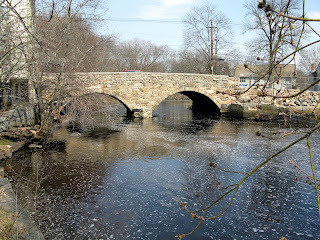 Who ever hears or sees the name Edna Ferber now? Yet she was world-famous several decades ago for her large novels telling the stories of states or sections of America, such as Cimarron (Oklahoma), Ice Palace (Alaska), So Big (Chicago), Come and Get It (Wisconsin), Giant (Texas), and Showboat (the deep South). Ferber won major awards for her books, which were always bestsellers. Hollywood made huge, successful movies from many of them, and Showboat was also a hit as a Broadway play, and her movies and plays also often won major awards. Ahead of her time and with a sure eye for the plight of the underdog, Ferber often dealt with controversial issues in her work, such as racism and miscegenation laws, immigration, political corruption, the treatment of women and minorities, issues that you wouldn’t expect to be at the center of such popular books. Millions have found themselves mesmerized by her portrayals of the people, places, and times she portrays, as I have many times. She did extensive research for each book and was, in my opinion, the unsung precursor of James Michener’s research-heavy tomes about states in the US and hot-spot areas of the world and the better writer. Ferber wrote real characters the reader could care about, rather than mouthpieces for the various aspects of history or area controversies as Michener did. Kenneth Roberts is another writer whose books have vanished into the out-of-print bins at used bookstores and friends of library sales. His bestselling books, such Northwest Passage, Lydia Bailey, The Lively Lady, Captain Caution, Arundel, Rabble in Arms, and Oliver Wiswell, focus on the periods of American history before and during the American Revolution, and many of them were made into successful films and TV series. Roberts was famous for his meticulous research into his period, and he told the stories of heroes and mavericks on both sides of that struggle. I think he was the first popular writer to offer the sympathetic portrayals of the Loyalist (usually called Tory) families who had to go into exile once the United States was independent, as well as the families and soldiers who fought for independence. Roberts wrote about the founding fathers and the soldiers who fought for the American Revolution, warts and all, as very real human beings with often conflicting motives and with families and other entanglements that complicated their efforts. When I finish one of his books, I always feel as if I have lived through the period that book covers in a complete immersion experience. 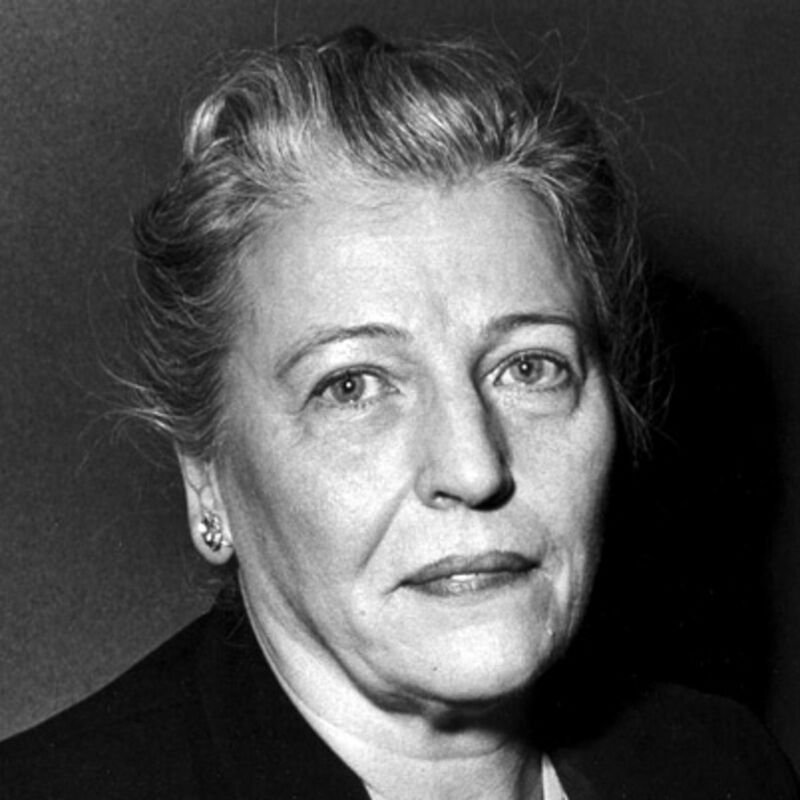 Pearl Buck is one of these once-great and now-forgotten authors who’s getting a new lease on life through the influence of Oprah Winfrey. I know it’s fashionable in literary circles to criticize Oprah, but I believe she provides America, in general, and literary culture, in particular, a real service in encouraging reading and in bringing recognition to forgotten or overlooked works. Look at what happened to Pearl Buck. 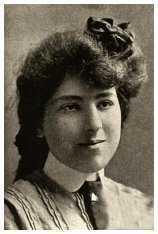 Even though Buck was the first American woman to receive the Nobel Prize for Literature, her bestselling and award-winning books, such as The Good Earth, Sons, A House Divided, Other Gods, China Sky, Dragon Seed, Pavilion of Women, Peony, The Big Wave, and Imperial Woman, had mostly been out of print. The gatekeepers of American literature, professors and critics, had pretty much consigned her books to the ash heap as “not literary enough” until Oprah pointed a spotlight back on her Pulitzer Prize-winning masterpiece, The Good Earth. I love what Buck said in her Nobel acceptance speech. She pointed out that, in China, “the novelist did not have the task of creating art but of speaking to the people.” “Like the Chinese novelist,” she said, “I have been taught to want to write for these people. If they are reading their magazines by the million, then I want my stories there rather than in magazines read only by a few.” Perhaps this is why her stories of people’s lives, especially women’s, are so enthralling. I know they have helped me through times of great physical and emotional pain. What authors of the past have been favorites of yours and helped you make it through times of illness or boredom or other difficulty? What writers who are out of fashion now would you like to see back in print and in active circulation? 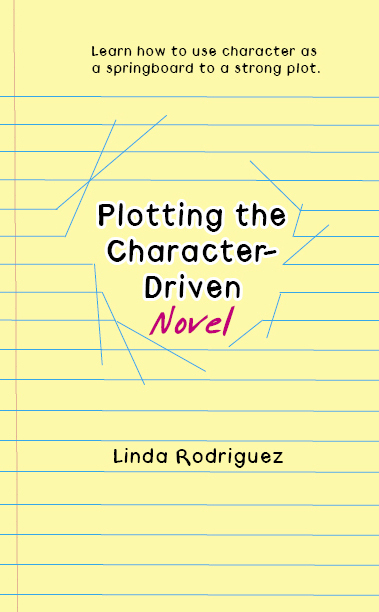 My current writing tasks include editing others’ novellas and rewriting some of my own work. 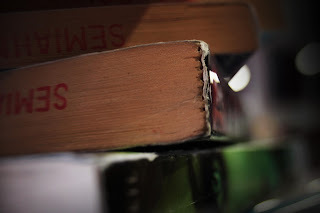 If you are a published author, you may not want me reading your book while I am in this strongly focused editing mode, because I notice flaws (or at least what I consider flaws). Recently two have stuck out in books I have read. She shrugged her shoulders and … and I’ve stopped and mentally crossed out her shoulders. Have you tried shrugging a leg recently? He nodded his head. Try nodding your knee a few times. How did that go? She reached her hand. Now, I’ll grant one can reach a foot or a toe, or with a tongue, even with an elbow, but if it’s a hand we’re talking about, my sense is that the reader presumes the reaching is done by a hand unless you specify another body part. Sometimes I trip over a flabby modifier that should either be eliminated or strengthened. For example, “There were about six thingamabobs.” Occasionally the story does revolve on there being about six of something, but most often six or a half-dozen suffices. Hannah was so mad she couldn’t talk. Steve slammed out of the car, closing the door so hard her ears ached from the bang and her sunglasses dropped from the overhead compartment. “Up yours,” he shouted. Grabbing for the sunglasses before they hit the gearshift, she knocked them under the seat. While retrieving them, she scratched the right lens beyond repair. Her fists tightened so hard in anger she snapped the earpiece. “You . . . you.” A vision of her dead mother appeared before her, and she couldn’t spit out the cussword she had intended. Don’t you agree this would be stronger without the first sentence? I think as writers we stick in that first sentence to remind us where we are going. That’s fine for an early draft, but it should be excised before the final version. And did Steve utter his words after he had gotten out of the car and slammed the door? Or had he spoken those before or during his exit? For fiction, we don’t need the introduction, and if the show is done well enough, the reader knows exactly what happened and how the character feels about it, so we don’t need the retelling, either. An example of this problem starts with a summary sentence, say: Hannah was glad the day had gone so well, even though it had a miserable start. The author then takes us through Hannah’s actions throughout the day, all in the past tense. Even well written, the bad stuff happening to Hannah lacks suspense because we already know she considered the day had gone well. Okay – those are my two complaints for the day. 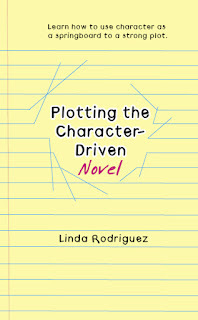 What’s bugged you in recent reads that you wish the author or editor had fixed? Part of my growing up years were spent near New York City. My parents, both native New Yorkers, thought knowing the joys of the city was vital to their child’s formative years. I should preface this by saying I was a late child. My closest sibling is nine years my elder. I was also the only girl. By definition in the fifties and sixties, I was Daddy’s girl. It was my father who undertook my NYC education. We made trips to the Metropolitan Opera twice a year, Radio City Music Hall for the Christmas show, the Statue of Liberty (climbed those steps a million times it seemed), the observation tower of the Empire State Building, the Museum of Natural History, the Hayden Planetarium, Carnegie Hall for a concert, and the Bryant Library (the one fronting Bryant Park with the lions). We also attended the Macy’s Thanksgiving Day Parade, the Christmas Tree lighting at Rockefeller Center, skated in the Rockefeller Center rink and the Wolman Rink in Central Park, and rambled through the park. So many visits to the Park that I had a personal acquaintance with Balto, the statue dedicated to the dog who carried the diphtheria antitoxin from Anchorage to Nome, and climbed the Alice in Wonderland statue annually until I was nine. Had you asked me I would have told you I knew everything about Central Park. That it was designed by Fredrick Law Olmstead and Calvert Vaux. That it was entirely constructed in the center of the city from land that had been farms and a few small settlements in the 1850s. That Olmstead and Vaux were chosen because their vision was to populate the park with native plant species. A very advanced ecological view at the time. That nearly every park feature was manmade including the waterfalls. That there is only one straight walkway in the park, the Mall. That the carousel had golden rings and if you caught one, you got a free ride. Wonder if it still has the rings. Yep, a lot to know. I also knew that unless you were going to Tavern on the Green, you did not go into the park at night. That the park was deteriorating and was a high crime area. That didn’t stop us from skating there—the Wolman Rink is on the periphery. Nor did it stop the youth of New York City from invading the park on March 7, 1970, the day of the full solar eclipse. We gathered in Central Park near the Sheep Meadow. There’s a large rock there. We proved our trust in people under 30 by diving off the rock and expecting to be caught by our fellow compatriots. But what I didn’t know proved to be very interesting. Recently I saw a book on the Barnes & Noble discount shelf. Death Angel by Linda Fairstein. The cover featured a depiction of the Bethesda Angel, also called the Angel of the Waters who overlooks the Lake in Central Park. I scooped the book up expecting to visit again so many of the sites of my childhood--although in a cleaner, safer park than I knew in my youth. Have you ever heard of Seneca Village? I never had. Seneca Village was an African-American settlement sacrificed to the building of the park. Now, don’t misunderstand, villages and farms dotted the park and all were lost to eminent domain when the park became a legislated reality. Seneca Village was not singled out. But it was unique. Founded in 1825, Seneca Village was arguably the largest settlement of free African-Americans in the US and definitely the largest in New York City with residents (African-American, German, and Irish) numbering approximately 264 in 1857 when the property was purchased by city. In addition to numerous houses, there were three churches and a vibrant village. It is believed that half of the residents of Seneca Village had the vote, which required owning property valued at $250. Residences in the Village ranged from shanty structures to property worth $4,000. I have no idea what that translates into in 2016 dollars, but I’m betting it’s a bucket. When the land was taken in 1857 the residents of Seneca Village were displaced and never again united in a community. What a sad commentary. In 2011, Columbia University, my father’s alma mater, began the controlled excavation of Seneca Village. Among the relics found, were pottery shards and relics of the people who lived in the village long buried beneath the green fields of the park. These discoveries form part of the premise for the story of Death Angel. Without Linda Fairstein’s book, I would never have learned of Seneca Village. Have you ever read a work of fiction that made you investigate further? What did you learn? I have a collection of mystery books. I started with the idea of buying hardback first editions in very good or better condition that were signed by their authors. 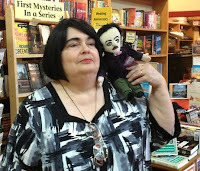 I wanted to have books that reflected the history of mystery fiction. Since I am not unimaginably rich, I knew some signed books would be way out of my price range. Knowing some authors did not sign many books, I concluded that some of what I wanted would be unavailable. I did not use first edition of the original publication as a criterion because of the rarity of many books published long ago. I also knew that I could not possibly buy a copy of every significant book in the history of mystery fiction. My plan was to get enough books to make up a sketchy outline of that history. As a collector, writer and reader, I find satisfying one role undercuts another. A collector wants the best condition possible. An unopened, unread book is great for a collector and not so great for reader. Once read, a book is less valuable, like a new car driven off a dealer’s lot, i.e. it is automatically used. A tattered paperback may be a great read and stimulate ideas for writing, but it is rarely valuable as a commodity. I like books that are already used that have points of interest about them. For example a have an armed services edition of Wilkie Collins’s Moonstone. The book is a paperback designed to fit in a military uniform pocket. I have no idea how many books were made of that edition, I have not seen any others but there could be millions of them. The condition is very good minus; it was the idea I liked. I have a copy of Rex Stout’s Champagne for One that he endorsed, “April 28, 1959 For the National Jewish Hospital All Good Wishes.” The book itself is a library book with stamps and markings from the National Jewish Hospital. The condition is what you would expect from a used library book. Still, because of the inscription I find it worth owning. I also have I, Witness an anthology from Mystery Writers of America. As with the other two there were books available in better condition. The book I bought was signed or inscribed to Aaron Marc Stein by many of the authors. He was presented with the book when he was named a grandmaster in 1979. While every signed book is unique, I enjoy seeking out the books that have a story attached to the physical book itself. Do you own any books like the ones I described? My collie, Maggie, and a little hen given to me last spring, have developed a friendship. Henny Penny had been picked on by the roosters at her former home. She ended up being picked on by at least one of my four old hens, too, so I let her run free where she has established a friendship with my old male guinea and my dog. Henny Penny follows Maggie around and sometimes Maggie follows her. Henny Penny has no fear of Maggie, and in the morning when I toss small pieces of bread on the barn floor before Maggie can get it, Henny Penny runs up and snatches them from under Maggie’s nose. On nice days Maggie prefers to nap in the afternoon outside and often I see Henny Penny resting rather close to her. Henny Penny will also go into the lean to where my ponies go to get out of the hot sun and walks around between their legs. They’re careful not to step on her. A young stray collie my husband picked up years ago from the streets outside the business where he worked and brought home became a wonderful dog. She had tumors on three legs and no one answered my found dog ad. The vet who removed the tumors and spayed her said she’d been abandoned because of the tumors. I named her Eliza Doolittle and Eliza looked after kittens born in the barn, and wrapped herself around a sick chicken once. She also loved to play with my daughter’s pet goat. I wish I’d taken pictures of her, but if I did, I can’t find them. After my indoor/outdoor cat didn’t come back one day, I waited and waited for her to return, but when she didn’t, I answered an ad in the paper and adopted a little black and white tuxedo kitten I named Fred Astaire (Freddy). I put him in a crate in the sunroom with a litter box, food and water until he’d adjust to his new home. 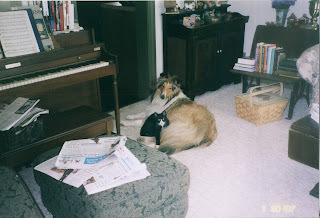 Molly, the collie I had before Maggie, fell instantly in love with him, but he was terrified of her. Within several days of me holding him and letting Molly sniff him, they became best friends. Even though he was a feisty little fellow who would leap on her back and claw at her ears, or jump up under her chin and cling to her ruff and let her drag him around, she never once growled at him. They became inseparable friends except when I took Molly for walks. I’d heard about other friendships between different species of animals so I went to my old friend Google and looked up some of those and found some amazing friendships. Have you had a pet who befriended animals of other species? 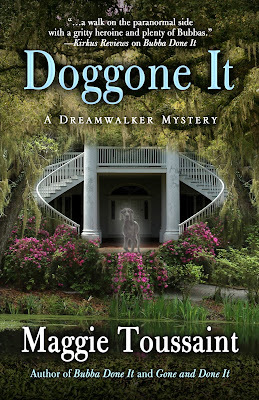 I love Maggie Toussaint’s Dreamwalker series, mysteries with a psychic twist. Main character Baxley Powell can communicate with the dead. When she touches an object associated with the deceased, Baxley can envision scenes the dead portray to her, which makes her a wonderful police consultant. Each book provides more details, not only of Baxley’s psychic powers and frailties, dealing in psychological games the dead play with her, but also each book digs deeper into her personal life. 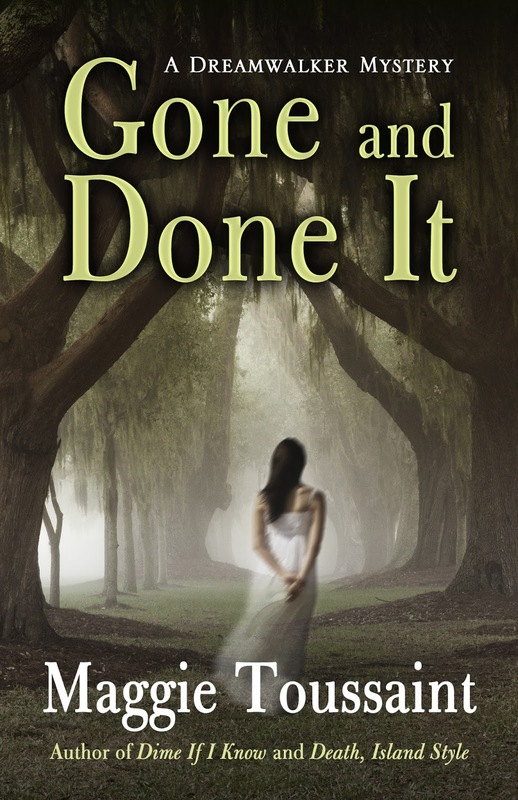 Maggie enriches her stories with backstory that complicates and relates to each mystery. It is that interaction of the personal and professional that catapults this series forward. 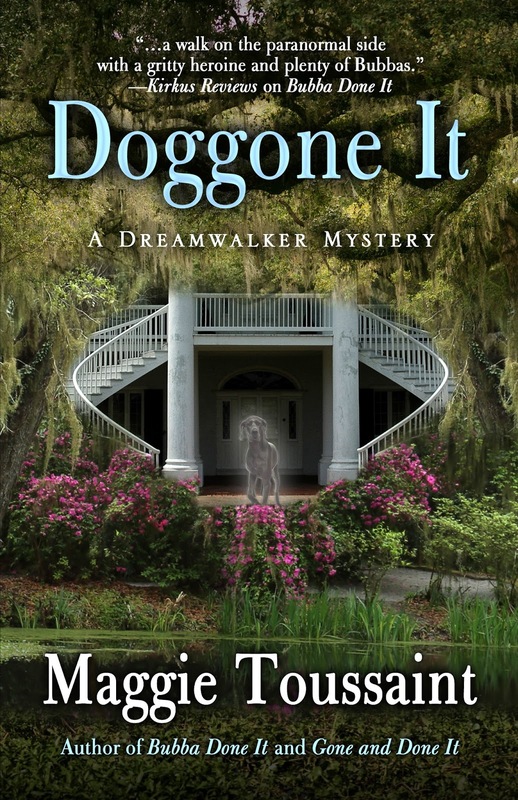 You will appreciate the title of her third book in the series, Doggone It, after reading the book. 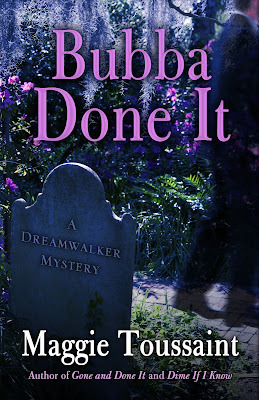 Dreamwalker Baxley Powell can’t remember the last time she had such a crappy weekend. abilities are wiped out, and the sheriff just summoned her to a double homicide. without her ability to speak to the dead. Just when Baxley thinks her powers are returning, her dreamwalks malfunction. with a dognapping medium to boost her powers. and, of course, his stalker. All of Sinclair County is on edge, and the media circus isn’t helping. At stake are the movie’s funding, the sheriff’s job, and Baxley’s senses. Readers often ask how books come about. I’d really like to know how you arrived at the concept of dreamwalkers. Do you have vivid dreams? Does anyone remember The Accidental Tourist by Anne Tyler? The main character Macon hated traveling and yet he ended up writing travel guides that explained how to deal with unpleasantness and difficulty of a trip. In that same vein, I am a person who doesn’t like being scared. I began writing this series to tie together (with my imagination) all of my firsthand observations, my faith, my education, stories I’ve heard, and so on, about what happens after death. I try to present the difficult and unpleasant stuff in a way that my mind accepts and in a way that may help others also dealing with deaths of loved ones. And in combination with that straightforward approach, I’ve long had an interest in psychics. Just like some folks have an extra gear when it comes to math or music (or any other ability), I believe some folks have extrasensory gears. One of the fun aspects of writing this series is having Baxley explore a new aspect of her extra abilities in each book. As for me, I’ve had very vivid dreams, some of them outright strange, like the Man with the Saddle on his head that I dreamed about several times as a child. Late adolescence to early forties were the times of most of those dreams. I still dream, but it’s rare these days that I remember them upon waking. In the opening scene, we learn that Baxley can’t see or communicate with ghosts. Why not? When you’re driving in your car and you lose your radio station, what do you do? Do you search the airwaves for a new station? Sure you do. In layman’s terms, the distance has become too great for the signal of your first station to reach you, so you have to retune your receiver to another frequency to hear a different channel. Hang onto that thought for a sec. 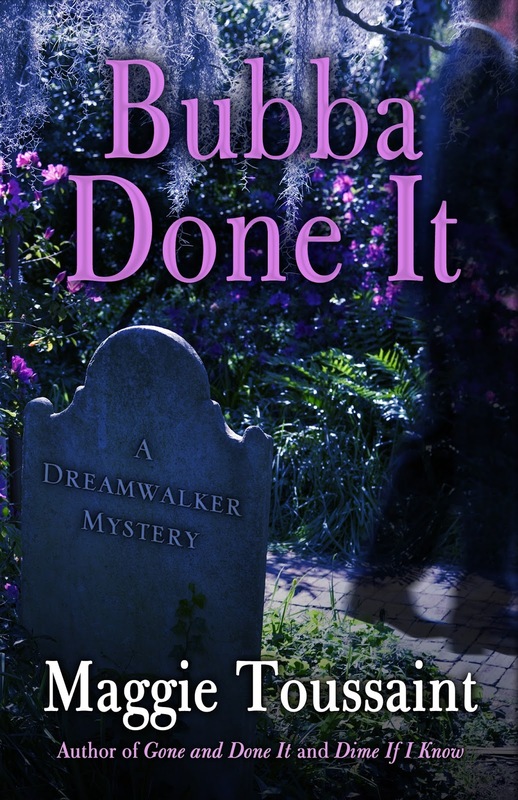 In the Dreamwalker Series, Baxley comes into the job of talking to the dead all of a sudden. Her father physically can’t do it anymore. The stress and side effects are killing him. Baxley, who has spent her entire 28 years trying to be normal, must now un-suppress her innate ability. Also, due to the sudden onset of her commission, all of her training is on-the-job. When Baxley runs into an earthbound spirit in Doggone It, she doesn’t know how to retune her psychic abilities to receive the input. Therefore, she makes mistakes and takes wrong turns and keeps at it until she gets it right. By the end of Doggone It, Baxley knows how to reach earthbound spirits and ones that have moved on to the Other Side. Rose is an entity that Baxley encounters. She can’t quite categorize her. Baxley thinks Rose is an undercover angel in the demon world. But Rose doesn’t come across as angelic. She either isn’t an angel, or she’s a great actress. Her favors have a high price that Baxley is forced to accept. Because the spiritual world is usually divided between good and bad, do readers have a problem accepting the ambiguous Rose? I’ve struggled with Rose’s duality, and I’m sure readers do too. In real life, sometimes we make deals or alliances with people who hold different opinions than we do. That’s what Baxley had to do. The safety and wellbeing of her family mean everything to her, and that’s how she finds herself indebted to Rose, a supernatural being – Rose helps her save loved ones. Was Baxley’s alliance with Rose a mistake? The consequences will continue to play out in the series. Not knowing Rose’s internal motivation adds conflict and drives the series forward. A writer couldn’t ask for a better plot device. Baxley describes her aging-hippie parents as trusting and gullible. But isn’t that also their strength? Absolutely. Trusting and gullible are the hallmarks of people who aren’t deceitful. Consequently, her parents’ home is a mecca for locals with personal problems. Their love is deep, abiding, and all-encompassing. Baxley, who prides herself on being more worldly, thinks she has to protect them from unscrupulous users, but her experiences in Doggone It start to reshape her view of them. Previous to Doggone It, Baxley is a bit condescending toward her mother. She comes to understand that dreamwalkers need a support system, a community, and her mother’s particular talents, more than just making soup, nurture dreamwalkers. Baxley encounters this in her professional and personal life. Has Baxley been too singular? You can blame the mom in me for giving Baxley a learning curve to understand the real depth in her mother. Most of us grow up thinking our generation is smarter than the ones who came before, that because of our technology and collective savvy, we don’t need or want advice from folks who’ve already had their turn. My parents didn’t have the opportunity to go to college, but they made sure all five of us had that opportunity. With that education and a lack of educated jobs in our fishing community, all of us dispersed into the world. One by one, as we had families of our own, we learned how wise our parents were. The circle of understanding continues with my daughters as they raise their families. They are learning the same lessons I learned and that Baxley is learning: all wisdom doesn’t come from book learning. I was shocked to read, “Roland Powell [Baxley’s MIA special-operations husband, whom readers have never met.] seemed trustworthy, monogamous, and faithful. I’d been wrong about his values.” Baxley still loves and misses him, and she doesn’t reveal why she thinks this. Is it because she and her daughter know he isn’t dead? Did Roland revert to his parents’ values? 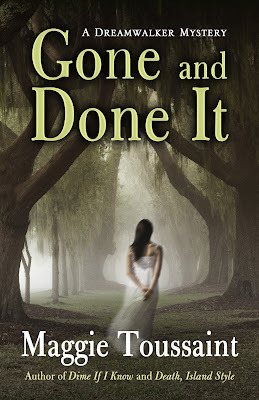 Baxley’s job as a police consultant puts her in close proximity to Sheriff Wayne Thompson. Wayne reveals to Baxley things about her “late” husband that are at odds with what she knows. She’d never once doubted her husband, but Wayne’s comments worm into her thoughts causing her to have doubts about the man she loves. Now that she’s more open to her extrasensory perception, she realizes she was walking around with blinders on for many years, years she shared with Roland. Her husband’s absence and status are an ongoing concern in the series, so I won’t say more. Baxley is idealistic and probably just as trusting and gullible as her parents. Nothing in Baxley’s life is as it “should” be. Why does she have sympathy with Roland’s mother? Baxley and Roland’s mom share a similar void in their lives due to his absence. As a young mom, she knows how she would feel if something happened to her daughter. When Sheriff Wayne, the womanizer, gets swept into one of Baxley’s dreamwalks, she thinks he might have psychic talents. Has Wayne sandbagged everyone, or perhaps he doesn’t know he has psychic powers? Perhaps Baxley has more power than she knows? Wayne’s a good ole boy, which isn’t always a good thing. His relationship with Baxley is complicated. She was his tutor in high school when he was the football quarterback; she was the woman who never succumbed to his charm. With regard to that dreamwalk, readers see firsthand how Baxley’s team rallies to help her recover. The fact that she does recover says a lot for her talent. I don’t want to delve too deeply into Wayne’s intuition, but he’s good at reading people. A black widower, Stinger, comes to Baxley for help. As it turns out, he helps her. 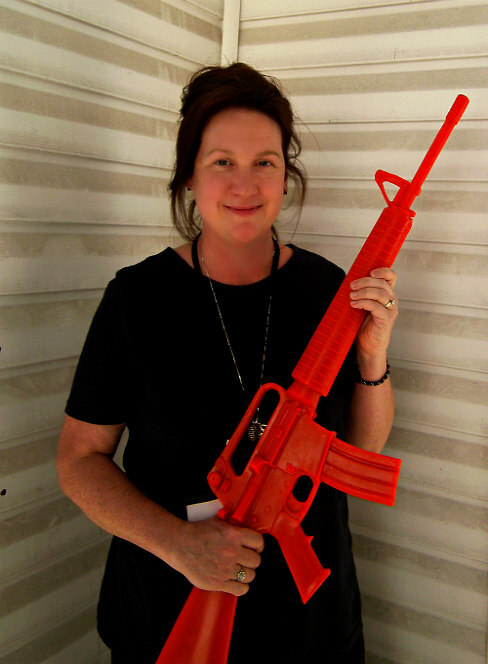 How does Stinger provide support to Baxley? Remember that line from science class: matter can neither be created nor destroyed. Energy, however, gets used up by activity. Runners get wobbly-kneed at the end of their races, for instance, and they need to refuel. Extrasensory use also burns energy, and Baxley has to have down time after dreamwalks to recharge. Things are different with Stinger. 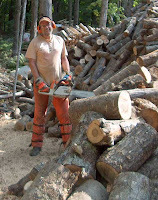 In this story, I used a story condition of mediums being energy generators. There are two dogs in Doggone It. One is a rescue dog and another is a ghost dog. Would you tell readers about these two wonderful canines? Many dogs today are used as therapy dogs in nursing homes and hospitals. Just being around these animals brings solace and comfort. In Doggone It, Elvis, a rescued Chihuahua, is a therapy dog. Everyone who holds him feels better. Since paranormal events by nature can be scary, I needed to make sure there was a balance of comfort as well. Oliver the ghost dog is a jet black Great Dane. Doggone It is about Oliver becoming part of the crew of strays, and I can assure fans of the series that he is a recurring character. He has a role in books 4, 5, and 6, which is the book I’m currently writing. I’m so glad you asked! Book 4 in this series is contracted and will release in 2017. In Dadgummit, Baxley and crew go on vacation to the mountains and get swept up in another murder mystery, this one involving individuals from Cherokee legends. What’s next for Cleopatra Jones? I haven’t forgotten Cleo! I get letters from fans requesting book 4 of that series routinely. In the previous books, her best friend, her mom, and her boyfriend were accused of murder. It’s her turn to be in the hot seat, so she’ll have every reason to nose around. I know you’re a beach chick, but would you favor a shrimpburger over a hamburger? I love a good shrimp hoagie, which is the closest I’ve come to a shrimpburger. I also love shrimp fried, grilled, blackened, and sautéed. Shrimp salad is great on a hot day, and shrimp paste is something to savor. Shrimp bisque is yummy, and I recommend it. I’m spoiled by the fresh seafood in our small fishing community where you can buy shrimp that slept in the sea last night. To find out more about Maggie and her books, please go to maggietoussaint.com or just go to Amazon for a reading adventure! My love of labyrinths must have started with the myth of Ariadne, that Cretan princess of long ago. She captivated me in a way that few mythic heroines did. Never mind that the first chapter of her life didn't end well (Theseus, the hero she fell in love with, the man she taught the secrets of the labyrinth to, eventually abandoned her on a deserted Greek island). The final part of the story – where the god Dionysus falls in love with her, marries her, and makes her immortal – now that's a happy ending. I think of that story every time I walk a labyrinth. Luckily, there are many where I live. 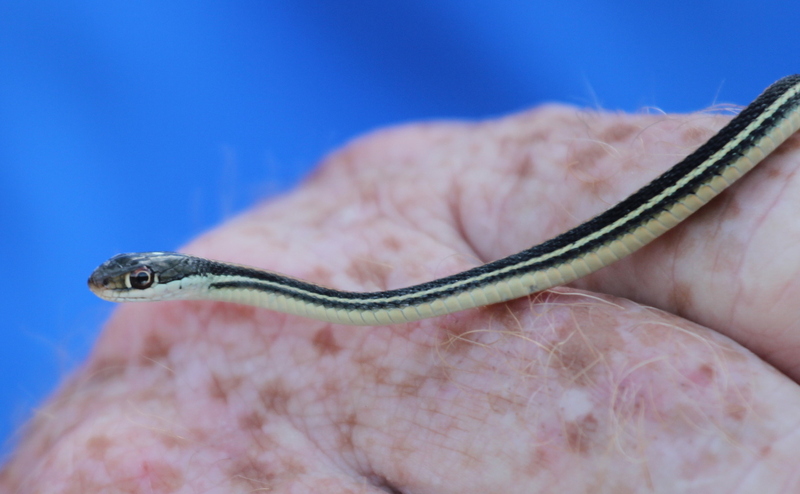 They can be found in chapels and green spaces, even backyards. Whenever I travel, I look to see if there will be one near my destination. The labyrinth combines the imagery of the circle and the spiral into a meandering but meaningful path. It is a powerful metaphor for life's journey, but it also provides a particularly satisfying neurological experience. Our brains operate differently in a labyrinth, it seems, and therefore, we become different people, even for just a few minutes. To understand labyrinths, you must first understand that a labyrinth is not a maze. Mazes must be solved, a left brain activity that involves choices and an active mind and logical, sequential, linear thinking. A maze is multicursal, with many paths. If you don't pay attention, you can get lost in one. Not so with a labyrinth. It is unicursal – one way in, one way out. There are no decisions, no choices, no thinking required. The only choice is to enter. To walk one is a right brain activity involving intuition, creativity, and imagination, and it requires a receptive mindset. You must trust the path, surrender to it. A labyrinth is not a puzzle; it is a mystery. Theologian Diogenes Allen illuminates the difference: "When a problem is solved, it is over and done with. We go on to other problems. But a mystery, once recognized, is something we are never finished with. Instead, we return to it again and again and it unfolds new levels to us. Mysteries, to be known, must be entered into. We do not solve mysteries. The deeper we enter into them, the more illumination we get. Still greater depths are revealed to us the further we go." With a labyrinth, the journey really is the destination. 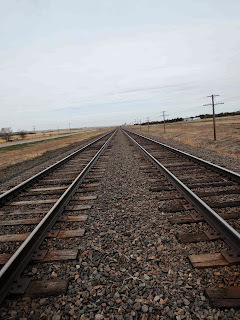 We've all heard that old saying, but sometimes it seems little more than an admonition to enjoy the scenery, like life is a train ride, with all the countryside of Life just flying by unless one pays attention. The labyrinth offers a different truth. It teaches that life is lived step by step. In the metaphorical labyrinth, like in real labyrinths, there is only one way in and one way out, so you can't get lost. And unlike the labyrinth of Greek myth, you will find no monster in the middle – only yourself. You'll find yourself at the end too, only not the same you who went in. And likewise, the labyrinth has changed too, by your presence within it, so the only thing to do is go back inside, again and again and again. If you're interested in exploring a labyrinth yourself, you can find one in your location by using the World Wide Labyrinth Locator. It lists the locations to over 5200 labyrinths; it's also a good place to learn about different types of labyrinths and other fascinating tidbits. 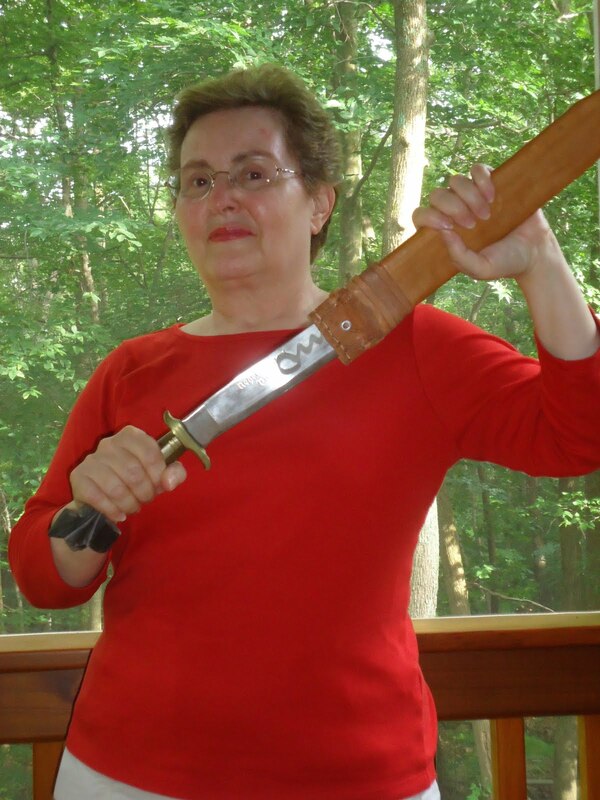 Today we welcome anesthesiologist and writer Tammy Euliano to Writers Who Kill. 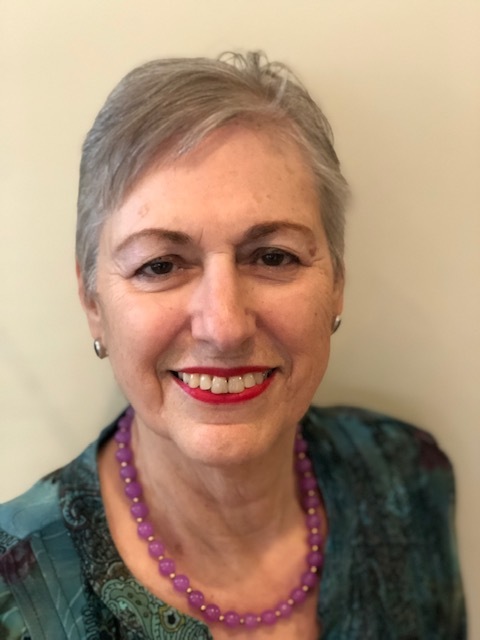 Members of the Sisters in Crime Guppies Group know that Tammy generously answers medical questions for writers on her blog. 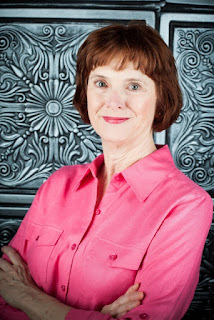 Today she shares with us part of her journey to publish her manuscript, Do No Harm. I’m a physician in my day job, an anesthesiologist with an unusual god-complex. Not the omniscient surgeon kind, but the lower-case kind who creates a world on paper (e-reader?) to captivate and entertain. At last I’m pursuing my author-fantasy. In true “write what you know” fashion, my mystery features an anesthesiologist. Do No Harm is the story of Dr. Kate Downey, an academic anesthesiologist who stumbles upon a series of unexpected post-operative deaths. Career at stake, she teams with a medical student, the son of a victim, and her eccentric German aunt to uncover a mercy killing-for-hire scheme. The stakes escalate (of course) threatening her career and the lives of her colleagues, her comatose husband, and even herself. A CRNA (nurse anesthetist) figures prominently. So there, I’ve written what I know, and finished a novel in my field of expertise. A field in which I’ve invested 20 years teaching, publishing, caring for patients. A field in which I can most humbly claim to be an expert. Honored as a finalist at the PNWA (Pacific Northwest Writers Association) annual meeting, I was thrilled to attend my first writers’ conference and my first pitch slam – speed dating with agents. Give a brief pitch, answer questions until the bell rings. If interested, they’ll request pages. 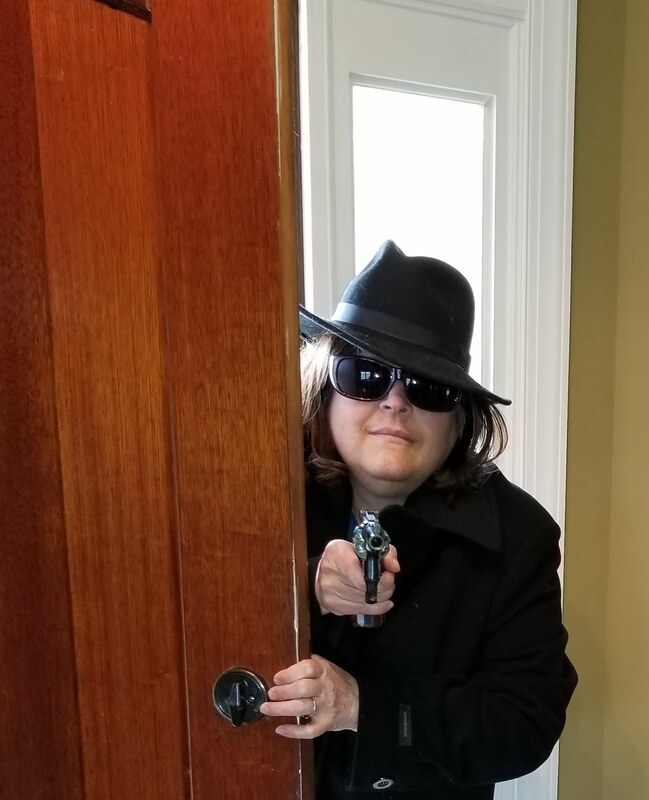 Move on to the next agent that seeks your genre. Go Time! Heart racing, my first pitch went great – she asked for pages. The next, same story. The fact they handed cards to most everyone was completely irrelevant. Confidence high, I stood behind the line at another agent. The line on the floor I mean, there was no one waiting. Cue music from Psycho’s shower scene. Deaf to the ominous tune, but not the bell, I moved to sit before him, blind to the horns and pitchfork. He’s looking at his watch. He’s drinking water, looking around the room. I plow on. When I mention that a CRNA is involved in a patient’s surgery, he stops me. “A what?” Still no eye contact, just interrupts. Yeah, I’ll send it right on. Hope he’s holding his breath for it. Note to self: When editing for someone, check their credentials before listing their transgressions. If you fly over my home state of Kansas, you’ll see a checkerboard landscape of farmland. 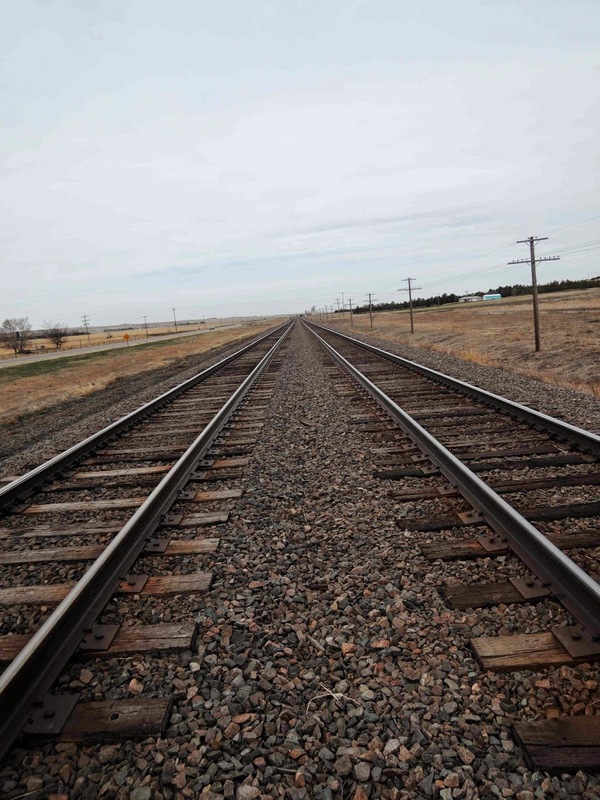 If you drive through on one of the main interstates, you’ll likely get the impression that so many have of Kansas—that it is flat and monotonous. It’s true that we don’t have the mountains of Colorado or the oceans of California, but we do have treasures. To find them, you have to get off the highway. Exploring these out of the way places is something my husband and I enjoy for somewhat different reasons. His first love is herpetology, an affinity for reptiles and amphibians that I’ve grown to appreciate (but not fully understand) in the 28 years we’ve been together. He’ll jump at any chance he can get to cruise the back roads in search of snakes. Literally. Herping (aka snake hunting or road cruising) means slow drives on lonely roads punctuated by slamming on the brakes when you spot a snake in the road, leaping from the car, and chasing down critters before they slither into the underbrush just so you can oooh and aaah, take a few photos, and then release them back into the wild. An additional benefit, for me, is the wealth of material I collect for my writing, from scene setting to character development. 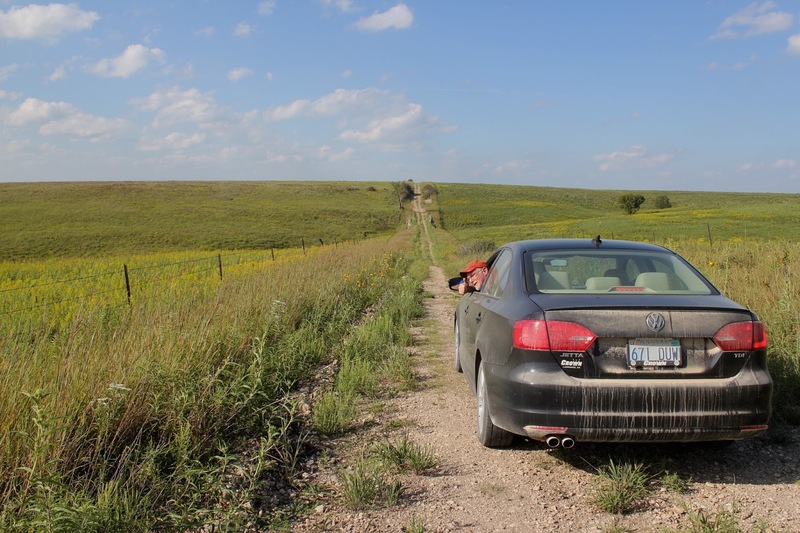 In August, our desire to escape for a day took us to Wabaunsee County in the northeastern corner of the state. At the Friendly Cooker, a diner where we had lunch, we eavesdropped on the folks around us (lots of characters in small-town diners!) and got the last two pieces of delicious strawberry rhubarb pie free because it was near closing time and the manager felt generous. We spent the rest of the day hiking a little-known prairie area managed by the Audubon Society, its path lined with boulders deposited by glaciers during the last Ice Age, and exploring roads most people don’t know exist. The real adventure of the day came when we chose to follow a dirt “road” marked on our trusty Kansas Gazetteer but obviously little used. The farther along we drove, the narrower the road became and the taller the weeds. At one point, the weeds growing in the center of the road trail were taller than my car. Someday, that road will find a place in my fiction. The "road" narrowed and the weeds grew taller on the other side of that hill. What are your favorite roads less traveled?